PARTICK THISTLE completed my Tuesday/Wednesday fourfold with a nice early goal against Dundee. MY three Tuesday picks – Derby, Hearts and Standard Liege – scored so I'm waiting on Partick Thistle to land the spoils. AFTER the disappointment of Saturday's loser I got back on track with a Sunday success. AFTER a few mear misses I got back on track with a winning treble on Wednesday night. MY winning run on team to score accumulators ended at seven. TWO wins in a row is more like the form I hit in September so let's hope I'm on the start of a really good run. JOSE MOURINHO did a number on Liverpool to shut them out in a no-score bore on Monday. I STARTED October with a loser on a day when many sides expected to score didn't. MY Bet of the Day of the day hit the bar big style with Celtic beating the bank builder and long shot. ONE of my favourite markets is teams to score but of course the prices are often too restrictive to tip them. 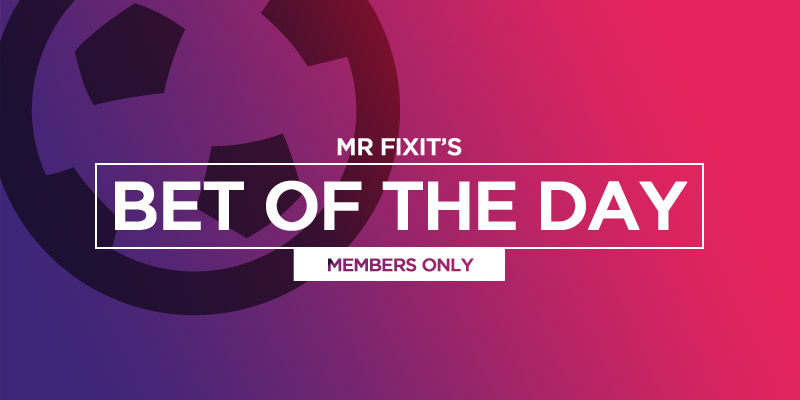 I'VE resurrected Bet of the Day for the start of the new season and kicked off with winners at evens and 6-4.